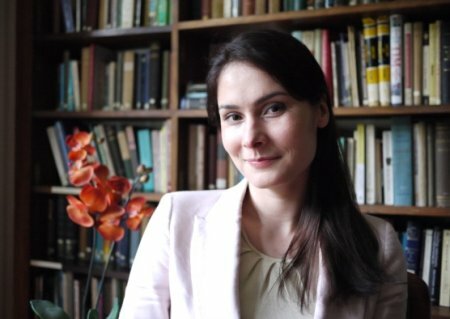 Eliza Gheorghe is a Stanton Nuclear Security Postdoctoral Fellow at the Belfer Center for Science and International Affairs, Kennedy School of Government, Harvard University. Previously, she was a postdoctoral fellow at the Mario Einaudi Center for International Studies at Cornell University. She holds a doctorate in International Relations from the University of Oxford, and an MA with distinction in Security Studies from Georgetown University where she was a Fulbright scholar. Eliza was a Jenkins scholar at Sorbonne-Paris I, a predoctoral fellow at the Norwegian Institute for Defense Studies (2011–2014), and a George Abernethy predoctoral fellow at the Johns Hopkins University SAIS Center in Bologna (2013–2014). She has taught classes on International Relations, U.S. Foreign Policy, and nuclear proliferation. She specializes in energy history and diplomacy with a focus on nuclear policy. Five out of six Black Sea countries have (or have had) benefited from the civilian uses of the atom. Energy-wise, Black Sea countries’ reliance on nuclear power ranges from almost 20% in Russia and Romania, to a third in Bulgaria, and almost half in Ukraine. The research reactor in Georgia stopped operating in 1988, and was decommissioned in subsequent years. Turkey is conspicuous by its absence in the Black Sea nuclear power club, especially since it has been eying atomic reactors since 1959. In recent years, however, Turkey has intensified its efforts to introduce nuclear power in its energy mix. In the process of negotiating the transfer of the necessary nuclear technology with potential suppliers, the government in Ankara has found an unlikely ally in Russia. 3rd NPP (exact site TBD, but possibly in “Igneada”/Kirklareli/Tekirdag/Akcakoca): 4 units that could be built by China’s State Nuclear Power Technology Corporation (SNPTC) with U.S.-derived technology (Westinghouse), negotiations started in late 2014. Of these 3, the Akkuyu NPP is the most advanced one. At first sight, there is no relationship between the Russian-Turkish nuclear deal and Moscow’s aggressive approach to Black Sea geopolitical developments. Rosatom, through its subsidiary – Rosatom Overseas, shook hands with the Turkish Atomic Energy Authority (TAEK) for the Akkuyu Nuclear Power Plant (NPP) in August 2009, long before the crisis in Ukraine erupted. The nuclear partnership between Russia and Turkey was not spared the roller coaster ride that many other NPP deals experienced: soon after Rosatom won the bid, the Turkish Electricity Trading and Contracting Company (TETAȘ) cancelled the contract. Politics prevailed, however, and high-level negotiations between the two governments resulted in an Intergovernmental Agreement being signed in May 2010. Since the beginning of the war in Ukraine, the government in Ankara, instead of making a common front with NATO, whose military protection it benefits from, has been keen on maintaining good relations with Moscow. Russia’s bid to regain its power in the Black Sea region has not elicited a strong reaction from Ankara. Politically, the Turkish leadership has preferred to set aside the contentious issues in its relationship with Russia (for example, the wars in Syria or Ukraine), and agree to disagree. With respect to Ukraine, the Turkish President, Recep Tayyip Erdoğan, has tried to dispel any qualms that his domestic constituency may have about the annexation of Crimea, claiming that Russia had assured Turkey that the rights of Crimean Tatars would be respected. Such a lenient position seems less surprising given that Russia has become Turkey’s second largest trading partner (Germany is ranked first) and economic forecasts predict even more economic interdependence over the next decade, thanks to joint projects such as Turkish Stream or the Akkuyu NPP. These developments suggest that there is actually a strong connection between Russia’s Anti-Access/Area-Denial posture in the Black Sea and Turkey’s nuclear energy future. Why would Russia choose to provide nuclear assistance to Turkey, one of the most powerful and most important NATO members, given the widening gap between Moscow and the Western military alliance? The definitions of alliances we currently operate with obscure the real dynamics at play. For Russia, money comes first. The sanctions regime imposed by West on Russia in response to its aggression in Ukraine has lightened Moscow’s coffers. Ankara’s refusal to join the EU and the U.S. in punishing Russia economically has offered Moscow some breathing space. Turkey’s pockets run deep, as its economy keeps expanding. When Rosatom signed the nuclear deal with TAEK in 2010, Turkey’s economy was growing at a staggering 9.2%, according to World Bank data. Even if the growth rate has slowed down in recent years (2.9% in 2014), it still beats the glacial pace that some EU countries have struggled with (-0.4% in Italy, Croatia, and Finland or 0.2% growth in France in 2014, and a modest 1.3% EU-28 average in 2014). Russia proved willing to offer Turkey an advantageous financial package for the Akkuyu NPP because the deal promised medium- and long-term benefits. The Akkuyu NPP involves a build-own-operate (BOO) model, which means that Russia brings the technology, financing, and operational experience, while Turkey provides the site, offers project support, and guarantees the revenue for the investor by signing a 15-year Power Purchase Agreement (PPA). According to the terms of the PPA, the Turkish Electricity Trading and Contracting company (TETAȘ) will buy 70% of the electricity produced by Unit 1 and 2 and 30% of the electricity from Unit 3 and 4 at a weighted average price of 12.35 cents/kWh. The deal is equally beneficial to Turkey, because introducing nuclear power in its energy mix would allow it to diminish its overwhelming dependence on natural gas imports (as high as 99% in 2014), which accounts for over 40% of its electricity generation. The Akkuyu nuclear deal also serves Russia’s strategic interests vis-à-vis NATO in the context of the crisis in Ukraine. Experts have shown that civilian nuclear assistance contributes to the spread of nuclear weapons. In theory, the Russian-Turkish nuclear deal is proliferation-proof. The BOO model stipulates that everything from the Highly Enriched Uranium (HEU) used to sustain the chain reaction, to the decommissioning of the reactors remains under the control of the Russian general contractor. The nuclear cooperation agreement with Russia therefore should prevent Turkey from gaining access to fissile materials for a nuclear weapon, and so limits the risks of proliferation. When it sealed the deal, Ankara accepted an important trade-off: electricity production at an advantageous price, but less room for maneuver in terms of nuclear development. Yet, there are two important aspects of the agreement with Rosatom which usually go unmentioned: training and competition. Russia agreed to help develop a corps of Turkish scientists and engineers in the field of nuclear energy, and to date two hundred Turkish specialists are currently in Russia undergoing training. These experts would then help build indigenous capabilities, as the Turkish government has clearly stated its interest in developing its atomic infrastructure. The government in Ankara plans to build its own nuclear reactors, for which it would also have to ensure reliable nuclear fuel supplies. When Turkey acquires the full nuclear fuel cycle, it would join a select group of countries which have attained atomic latency (or pregnancy, as older analyses would have it). The “almost nuclear” club includes Germany, Japan, Brazil, Argentina, and Iran, among others. Moreover, the nuclear agreement with Russia drew in more vendors, such as Japan, South Korea, or France. Historically, relatively weaker countries interested in nuclear power (and atomic weapons) have managed to punch above their weight on the nuclear market by playing suppliers off against each other. Exploiting this sense of competition between sellers works wonders for recipient countries: in an effort to secure the deal, nuclear suppliers lower the price and offer laxer terms for the uses of the technologies they transfer. These two less visible dimensions of the Russian-Turkish nuclear deal come into play at a time when hardly a day passes without an article about nuclear dominoes falling in the Middle East being published. Pessimists predict that a proliferation cascade will take place in the Middle East because of the nuclear deal with Iran. One by one, these analysts warn, Saudi Arabia, Egypt, the United Arab Emirates, and Turkey, among others, will go nuclear, because of security, bureaucratic, and prestige considerations. Proliferation optimists call into question this “doom and gloom” scenario, pointing to the dampening effect that U.S. pressure can have over the nuclear ambitions of their junior allies. There are few actions Washington would not take to stem nuclear proliferation: in the past, Washington threatened to abandon its junior allies or extended its nuclear security umbrella to stop its partners in their tracks. While the U.S. undoubtedly plays a role in the Middle East’s nuclear fortunes, the optimists’ camp seems to ignore the impact that Russia has on potential proliferators in the region. Turkey represents an excellent case in point: its unique geopolitical position as a linchpin between the Middle East and the Black Sea means that Russia holds considerable sway over Turkey’s nuclear future. As mentioned before, Turkey has been approaching other suppliers, such as Japan and France, which it could try to manipulate to obtain a more advantageous deal. The United States can exert tremendous pressure on these countries, as they depend on Washington for their security needs. Moscow, however, is relatively immune to such pressures, which grants it a privileged position among the host of suppliers Turkey has turned to. As a result, Russia is approaching a position of ‘kingmaker’, having more of an ability to either nip in the bud or catalyze Turkey’s nuclear program than other suppliers. Russia is not keen to let Turkey go nuclear, but it probably wants to let the United States know that it can create trouble in NATO if it wishes to do so. The spread of nuclear weapons among NATO member countries, limited as it was, has given rise to severe rifts between the United States and its allies. With a few exceptions, Washington’s main priority has always been to prevent other countries from going nuclear, because atomic weapons in the hands of other countries curtailed its influence on the world stage. The North Atlantic military alliance has not experienced proliferation among its members since 1960, when France detonated its first nuclear test in Algeria. Six years later, France withdrew from the alliance’s military structure, generating serious worries about the fate of NATO. Afterwards, the United States has focused on preventing further proliferation in Western Europe. West Germany raised considerable objections to Washington’s nonproliferation agenda, given its interests in developing its nuclear industry. Yet, after much pushing and pulling, the U.S. got the government in Bonn to sign the Non-Proliferation Treaty in 1975, but not without causing significant strain to U.S.-German relations. Along similar lines, Turkey’s efforts to develop its nuclear program would not only create tensions between Washington and Ankara, but it could also change the dynamics among the other junior allies. The nuclear deal with Iran means that the United States would have a harder time muffling Ankara’s ambitions to develop indigenous capabilities. If Iran was allowed to keep its uranium enrichment facilities, on what basis could Turkey be stopped from building up its own nuclear industry? Any opposition from the United States to Ankara’s nuclear pursuits would cause great resentment among the Turkish leadership and lead to a widening gap between the two countries in strategic terms. Skeptics would argue that Russia will never take any action that may irreversibly set a NATO country on a military nuclear path. The very existence of a build-own-operate contract attests to this idea. But, through the 2010 nuclear cooperation agreement Moscow has secured a foot in the door, which it can use to inflict pain or obtain concessions not just from Ankara, but also from the United States. This position allows Moscow to have a say over Turkey’s nuclear pursuits, and to drive a wedge between Washington and Ankara. The Turkish nuclear saga is open-ended, but one aspect emerges very clearly: Russia’s approach towards its nuclear deal with Turkey is steeped in pragmatism. The atomic partnership with Ankara is a wild card that Russia could play in case its security is threatened. The one question on which the Russians are mum is “when will they choose to do so?”. The nuclear deal with Turkey could become a useful lever for putting pressure on NATO only if Russia follows the old precept of deterrence theory (put forward by Thomas Schelling): making a threat that leaves something to chance. Prof. Dr. Osman Sevaioglou, Costis Stambolis, Nicholas Sofianos, “The Nuclear Power Generation Program of Turkey”, IENE Briefing Note No. 6, June 2015, pg. 15-16. See reference 1, pg. 32.